The date was April 17, 2015. The tweet was simple and to the point. At that point, I should have been riding high. I was the guy who had been driving the Rockies bandwagon for weeks, talking them up through spring training and trying to get people excited as the new season commenced. And at that moment, Colorado sat atop the National League West standings, boasting a 7-2 record that was among the best in baseball. But it just felt like it was all about to come crashing down. A couple of days earlier, a web site (purplerow.com) that covers the team had decided it was a good idea to solicit fans for a nickname that would do the Rockies infield justice. And the overwhelming winner to their highly unscientific poll, earning 70 percent of the votes, was “Coors Shield” – a catchy little phrase that played into both the team’s home stadium and their ability to defend the base paths at a high level. The “movement” was innocent enough. After all, those who cover and root for the team were just trying to find something positive to grasp onto; and there was no better option than the Rockies infield. Justin Morneau, D.J. LeMahieu, Troy Tulowitzki and Nolan Arenado were major bright spots for a franchise that hasn’t had many in recent years. In the field, they were Gold Glove winners five times over, providing dazzling displays of leather on almost a nightly basis. But it just felt wrong. Colorado was off to a shockingly good start to the season, surprising everyone with road sweeps at Milwaukee and San Francisco, so confidence was high. Nonetheless, the boastfulness seemed premature. Yes, LeMahieu and Arenado were reigning Gold Glove winners; but they were both very young players, a pair of rising stars that were far from being established. Sure, Tulowitzki was a joy to watch at shortstop; but due to injuries, he hadn’t had a stellar season in the field since 2011. And Morneau was known more for his work at the plate, having won the NL batting title last season, than his mastery of the leather. On top of these facts, the Rockies were a team that has been dreadful since 2010. 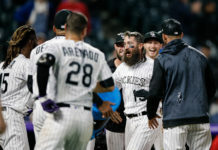 During the past four seasons, years in which Colorado has finished at or near the bottom of the NL West standings, the team had averaged 69 wins and 93 losses. That’s across a 648-game span, a sample size that makes a hot start nine games into the year seem pretty trivial. As a result, it was a bit surprising that the idea for a nickname was floated in the first place. It was even more head scratching when the fans jumped on the notion. It was borderline shocking when the Denver Post took the moniker and ran with it. And it was downright stunning when the organization officially adopted the nickname. 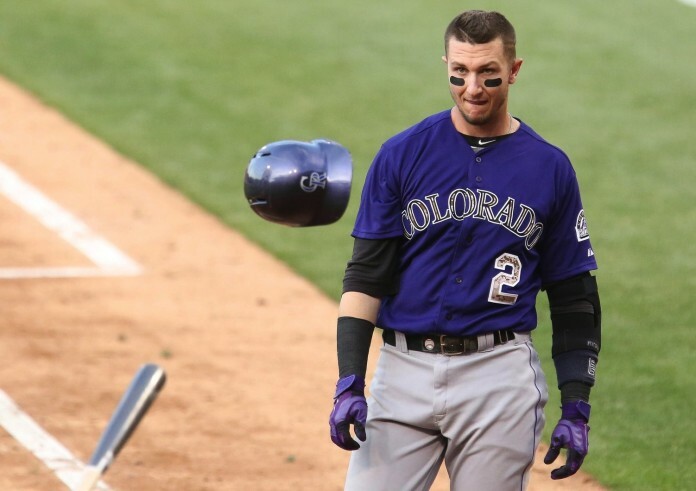 But that’s what happened on the morning of April 17th, a date that will live in infamy (at least for those who care to mourn the death of the Rockies 2015 season). It was a classic example of hubris run amok. The Yankees can be cocky; they have 27 championships to justify their swagger. But the Rockies, a franchise that came into existence in 1993 and has yet to win a single division title, has no room for being boastful; they’ve done nothing to warrant any sort of confident strut. That’s why a 7-2 start should’ve been downplayed, a nice beginning to the season that is deserving of understatement and modesty. It was worthy of a humble attitude, one that was focused on the entire year and not just the first couple weeks of the season. But the Rockies didn’t take that approach. Instead, they pounced on the slightest bit of good news, using it as a reason to toot their own horn; they tried to parlay early season excitement into a nickname that would look great on t-shirts available in the team store. And those of us who are fatalists – the people who have seen trash-talking backfire time and time again – cringed at the news. It seemed inevitable that Coors Shield would blow up in the team’s face. Not surprisingly, that’s exactly what has transpired. In the 23 days since adopting the nickname, the Rockies have gone from being on top of the mountain to sitting in the deepest part of the cellar. Once again, Colorado is at the bottom of the NL West standings, staring up at four teams that are off to a better start in 2015. That’s what a 4-15 stretch – Colorado’s record since that fateful Sunday – will do. That’s what being winless in the month of May will do. And apparently, that’s what being cocky when you have no reason to be boastful will do. This was easy to see coming on April 17th; Colorado’s slide was just a matter of time. That’s why I jumped off the Rockies bandwagon that morning; even though the Rockies were 7-2, it was time to abandon ship. That notion was expressed via a flabbergasted post on Twitter. Was my tweet prophetic? Nope; it was simply playing the averages, as a mediocre (at best) Rockies team was bound to come crashing back down to earth at some point. But it was also designed to point out a fundamental flaw with the Rockies organization; they don’t have any grasp on reality. The runt of the litter doesn’t boast when he starts to gain in stature. The underdog doesn’t poke the sleeping bear by taunting the favorite. And the perennial loser doesn’t brag about a hot nine-game stretch early in the season. Win a World Series title. Hoist an NL West banner. Be in the wild card race late in the season. Still be relevant on Memorial Day. Accomplish one of those goals and a little bragging might be in order. Until then, the mantra for the Rockies should be simple: Keep your head down, work hard, plug along and try to do better. And get out of the nickname business.